This period, we have received more and more projects from Medical field. Not same as the common project, the requirement of medical parts are extremely high, whatever it is quality, machining process or material report as well as test report. 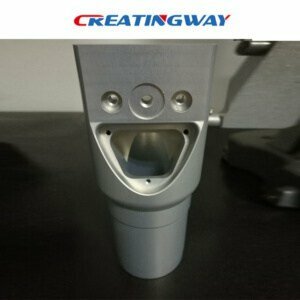 On the other hand, it means the trend of the CNC machining development is more and more widely and advanced. 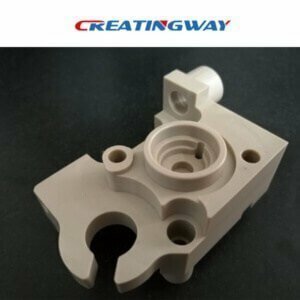 For the CNC machining services in medical field, there are below characteristics which are different from common projects. Medical device material must be certified, like ROHS, FDA etc, so when we outsource raw materials, we have to ask the supplier to further check out and get report together with material. Nowadays, people pay more and more attention on modern cutting tool materials, since the good performance of modern cutting tool materials can lead the direction of the high-speed machine tools. It can not only improve the processing efficiency, lower processing costs, but also enhance part surface quality and precision which are specially required by medical device. So the factory, who masters the ultra-high-speed machining technology, can achieve efficient, high quality, low cost production of a wide range of applicability. Except medical field, the development of a number of high-speed, high efficiency, high-speed response of the CNC machine tools to meet the automotive, agricultural and other industries, under the base of high efficiency, high-volume production requirements and the rapid development of electric drive technology, high-speed linear motor application. Precision is the key requirement of medical device, especially high precision. It is not only meet the needs of high-tech development, but also improve the performance of general mechanical and electrical products, quality and reliability. What’s more, it can reduce the workload of the assembly needs to improve assembly efficiency. Ultra Precision Machining including CNC Precision Machining (turning, milling), ultra-precision grinding, polishing and ultra-ultra-precision grinding Precise Machining (c beam processing and micro EDM, micro electrochemical machining and a variety of composite processing, etc.). With the development of modern science and technology, on ultra-precision machining technology has raised new demands. Parts of test report will be provided to customers to ensure product tolerance meet requirement. Different industry has their different features. Though we are at CNC machining industry, we have to learn more about other industries, then we can provide better service to our customer professionally.